xin chào guys! 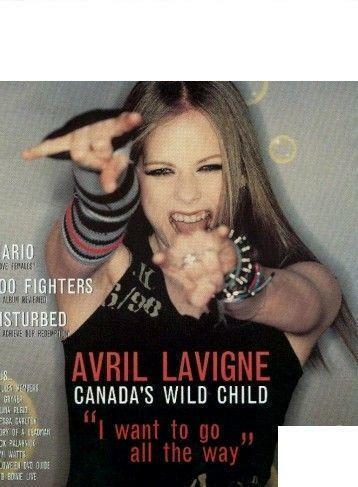 i´m currently doing an anthropology project on the culture of stans, and i´m focusing on avril lavigne. would any of bạn be willing to answer a few questions? What is two of your favourite songs bởi Avril Lavigne? yo girl, not to depress bạn but your kinda hot. LOL – Liên minh huyền thoại sorry, just asking can i have your phone number? don't think I'm a stalker I'm collecting famous boys and gals phone number for a living. Here's me. "I liked being a minor because bạn can't get into trouble. Now I just have to try and behave myself." "To understand me, bạn have to meet me and be around me. And then only if I'm in a good mood - don't meet me in a bad mood." In my last articles, I talked about why Avril Lavigne needs to make an album without any bratty songs for tiếp theo năm and why Avril Lavigne needs to resign Sony âm nhạc Entertainment and moved to Universal âm nhạc Records. I will all of bạn that I think MTV VMA wants Avril Lavigne appearing on MTV VMA back. Last year, Avril Lavigne gives các điểm thưởng to Miley Cyrus’s VMA Performance and claims that she’s young & expressing herself. Let's not forget Miley Cyrus performing her awful We Can't Stop with Robin Thicke after he sings his overrated Blurred Lines. Stupid Blurred Lines and We Can't Stop. Let's continue. Hello, Little Black Stars. It’s time to talk about why rock âm nhạc stations needs to play Avril Lavigne songs. I hope bạn enjoy it. Now, as bạn may know that pop âm nhạc stations are getting tired of Avril Lavigne. So what we need for Avril Lavigne is di chuyển her âm nhạc to rock âm nhạc stations this năm that way pop âm nhạc can finally get out of Avril Lavigne for good. As bạn all know that we spent a weekend listening to only Avril Lavigne albums to figure out where it all went wrong. It’s hardly surprising when a pop ngôi sao becomes a punchline. A life in the public eye is challenging at the best of times, let alone in a digital age when scorn and mockery are easy tactics to cope with mass culture’s persistent attempts to tell us what to buy/consume/listen to. Some pop stars manage to rebound from the jokes; others get buried under them. Why do u tình yêu Avril?? ?